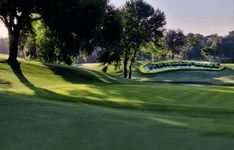 ACROSS CENTRAL FLORIDA – The Grand Golf Resorts of Florida, a Salamander Collection, is offering sports lovers an exciting new package by which to enjoy the Sunshine State. The “Ultimate Sportsman’s Package” combines luxurious surroundings, world-class golf and tickets to some of Florida’s most exciting sporting events. As the largest independent operator of golf resorts in the Sunshine State, the Grand Golf Resorts of Florida is renowned for its nine championship courses at Innisbrook Resort in Tampa Bay, Reunion Resort in Orlando and Hammock Beach Resort in Palm Coast. Four of the courses rank in Golfweek’s top 25 in Florida – a state with more courses than any other – and the resorts have hosted tournaments on the PGA, LPGA, Champions, Legends and Symetra Tours. From the Gulf to the Atlantic, each resort also offers easy geographical access to a variety of professional sporting experiences including football, basketball, baseball and motor racing. Starting at just $229 per person, the new two-night Ultimate Sportsman’s Package includes spacious villa-style accommodations, one round of golf per adult per night, $10 resort credit per adult per stay, and one ticket to a packaged sporting event. At Innisbrook Resort in Tampa Bay, package guests can play one of four courses – including the Copperhead, host of the PGA TOUR Valspar Championship – and choose to attend an NHL Tampa Bay Lightning or MLB Tampa Bay Rays during either teams’ regular seasons. In addition, Innisbrook is only a short drive from the NFL’s Tampa Bay Buccaneers stadium, the University of South Florida’s athletic events, and two major college football bowl games. There are several MLB spring training facilities nearby, while the resort is the official accommodation of the Toronto Blue Jays. Innisbrook also offers a complete tennis and racquetball facility, freshwater fishing on property and can arrange for saltwater fishing in the nearby Gulf of Mexico. To book at Innisbrook Resort, visit www.innisbrookgolfresort.com or call (855) 299 3330. 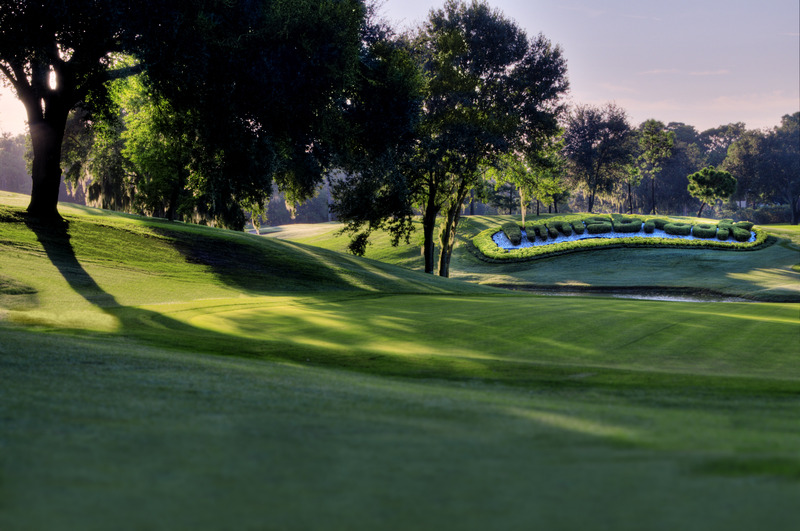 Reunion Resort in Orlando is home to signature golf course designs from Jack Nicklaus, Arnold Palmer and Tom Watson, as well as the Annika Sorenstam Academy. Package guests can play any of the courses, and choose to attend either the Richard Petty Driving Experience at Walt Disney World Speedway or an NBA Orlando Magic regular season game. Numerous MLB teams prepare nearby during spring training, while the resort is just a short drive from the University of Central Florida Knights football stadium and the Florida Citrus Bowl Stadium, which hosts college football bowl games each year. The resort also features a waterpark, tennis center and the Frankly Frog Putting Pad. To book at Reunion Resort, visit www.reunionresort.com or call (855) 318-0587. Hammock Beach Resort in Palm Coast, just north of Daytona Beach, features the Ocean Course designed by Nicklaus and the Conservatory Course designed by Watson. In addition to playing either highly ranked course, package guests can also enjoy the Richard Petty Driving Experience at the Daytona International Speedway. Hammock Beach, which hosts several Daytona 500 events, is also just a short drive from the Minor League Baseball team, the Daytona Cubs. The resort also offers a waterpark, tennis facilities and features its own marina and slips for in-shore or saltwater fishing. To book at Hammock Beach Resort, visit www.hammockbeach.com or call (855) 270-8507. The Grand Golf Resorts of Florida’s Ultimate Sportsman’s Package is available for travel through December 31, 2014. Packaged event tickets have a maximum value of $100 for each ticket. Transportation to events is not included. The Ultimate Sportsman’s package is based on availability and based on double occupancy. Additional restrictions and blackout dates may apply. Three of Florida’s grandest golf resorts have united under the management of Salamander Hotels & Resorts. Grand Golf Resorts of Florida features Innisbrook Resort in Tampa Bat, Reunion Resort in Orlando, and Hammock Beach Resort in Palm Coast. The collection includes 1200 luxurious villa-style accommodations, and 162 holes of golf designed by Jack Nicklaus, Arnold Palmer, Tom Watson and Larry Packard that form the Legends of Golf Trail, which traverses 200 miles between the resorts and across the Sunshine State. All three properties are members of Preferred Hotels & Resorts. For more information, visit www.grandgolfresorts.com or call (888) 770-6501.